AFI produces a line of strong, high quality products built to withstand the harsh marine environment. 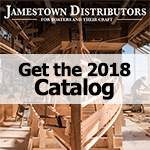 Their products include windshield wiper motors, arms and blades, fishing rod holders and racks, swim platforms as well as a long list of teak products, furniture and accessories. The first step in choosing a windshield wiper system for your boat is selecting the wiper arm. AFI offers a variety of adjustable arms in lengths ranging from 14 to 30 inches and standard, deluxe or premier styles. Every AFI wiper arm is constructed from stainless steel for maximum durability. The company also offers regular, and pantorgraphic versions, as well arms with a sprayer nozzle built into them. Next step is to pick the proper blade for the wiper arm. AFI offers a variety of sizes and styles of wiper blades to fit many different types of wiper arms. Blades are available in standard, deluxe or premier styles constructed with stainless steel frames and high end silicone rubber compound squeegees for maximum duability and effectively, smooth wiping performance. The final task is choosing the proper winshield wiper motor, unless you prefer to purchase the manually operated wiper that AFI also offers. Three categories of AFI wiper motors are available, standard, heavy duty and heavy duty plus, all offered for interior or exterior installation. Motors are designed to fit a range of windshield sizes and wiper arm lengths, for use on boats of all sizes. When used along with trolling applications a fishing rod holder is an invaluable necessity on a fishing boat. It aids in the precise placement of rods, baits and lures, for hands free operation. So you can sit back, relax and wait for the fish to come to you. A fishing rod rack is a key accessory for storing your rod at home or on the boat. Hang your rack with or without the reel attached to keep it protected when not in use. AFI offers a wide variety of fishing rod holders and racks constructed from durable materials like polyethylene plastic, teak and stainless steel, giving you one less thing to worry about and more time to relax when out on the boat. With sound devices designed to meet any marine needs and 50 years experience in design and manufacturing, AFI is the go to company when it comes to picking the right horn or trumpet for your boat. Their products are specially designed to withstand the elements of harsh marine environments with all cricital components structured from stainless steel and some models even featuring an over-molding internal motor cover housing for extra protection.